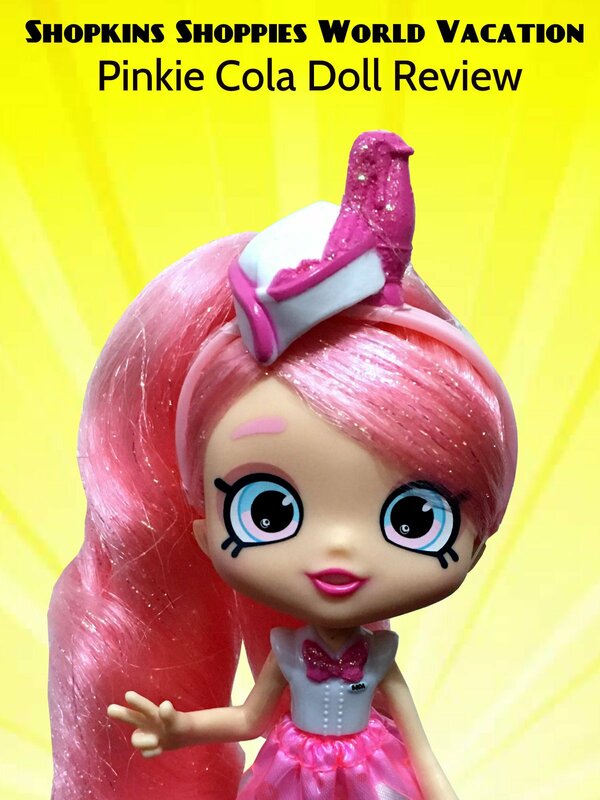 This is a review of the Shoppies World Vacation Pinkie Cola doll. She is a USA and 50's diner themed doll with exclusive Shopkins, a passport, luggage tag and suitcase. This doll is made by Moose toys.